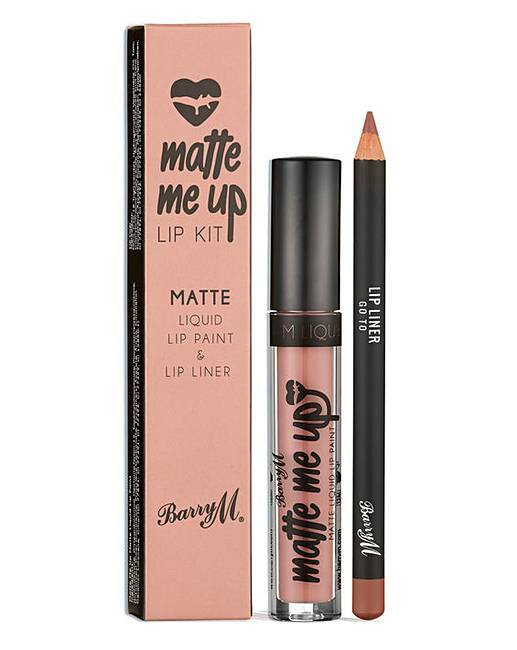 Barry M Matte Me Up Lip Kit Duo Set. Reach pout perfection with this Lip Kit bundle, including a set of Matte Me up Lip Paint and Liner with a non-drying, ultra-long wearing formula that is easy to apply and will leave lips with a gorgeously bold finish. 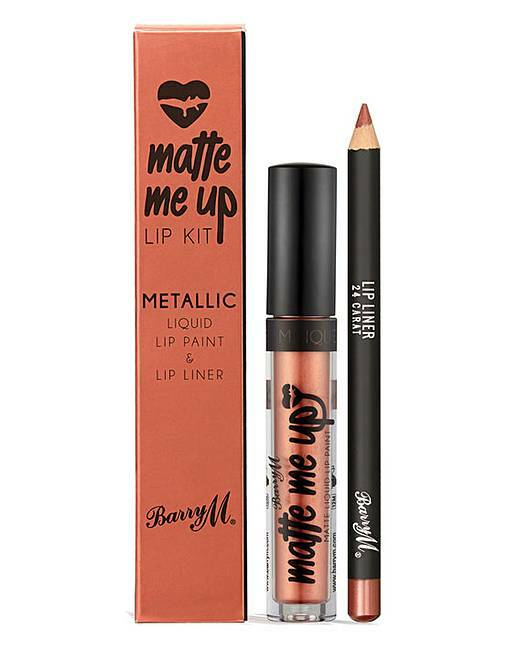 Also included is a set of the Matte Me up Metallic Lip Paint and Liner. This will have you hot on- trend with a shimmery, bold, metallic finish. 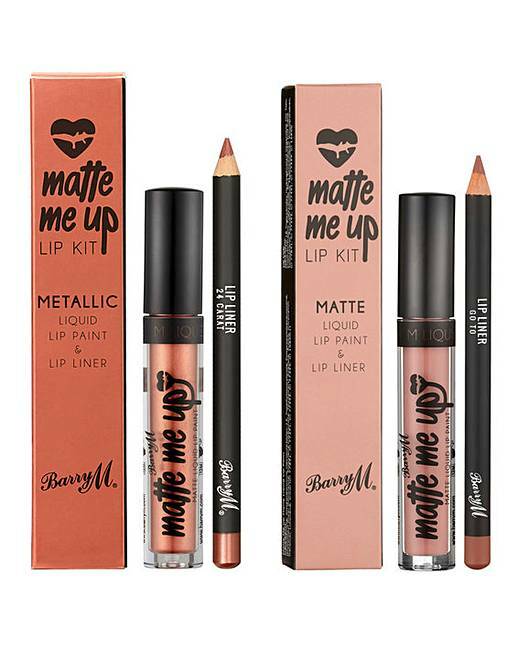 Matte Me Up: Go To, Matte Me Up Metallic: 24 Carat.